Jamie says, We need our school room to be right in the middle of things, and our living/dining room is the most convenient, central part of the house. 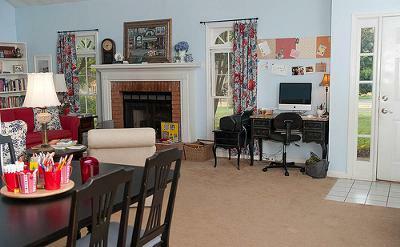 In the photo, you can see where my desk is in relation to everything, and where our school room is in relation to the rest of the house. The kitchen is just to the right of where I was standing for this photo, and that's the front door you see there. 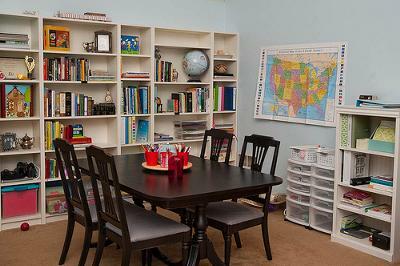 Read more about this homeschool schoolroom on Jamie's blog.